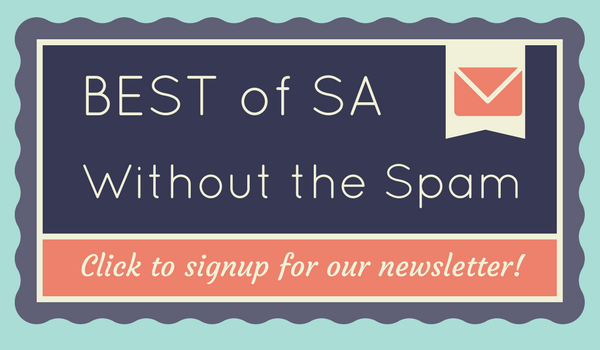 Editor’s note: I was out of the country in Mexico during Culinaria and wasn’t able to publish these posts until now. After seeing some of the beautiful pictures, I’m sure you’d agree that better late than never. 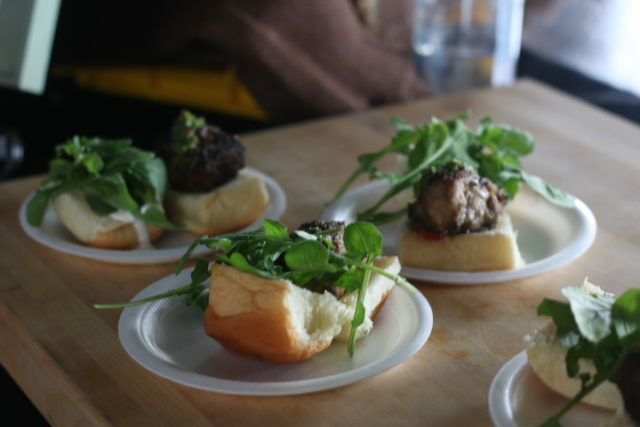 Culinaria 2015 closed on Sunday with Burgers & Beer—a chance for chefs to take on their renditions of burgers, amongst other treats. An early morning thunderstorm and warnings of a flash flood cleared up in time for hundreds to flock at the event. Few things go better than a juicy burger with a cold swish of beer to wash it down. As the name insinuates, the Pearl’s Burgers & Beer lived up to the hype. 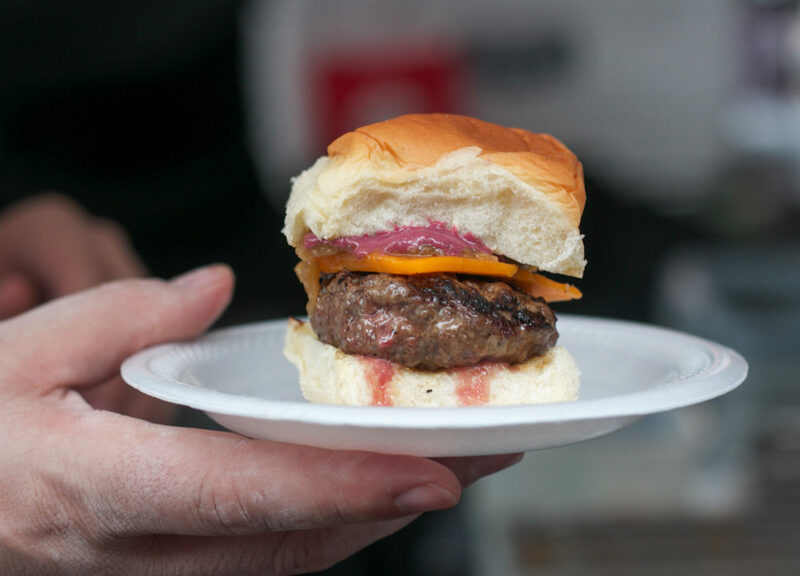 There was a variety of burgers—from savory to sweet—to please every palette. 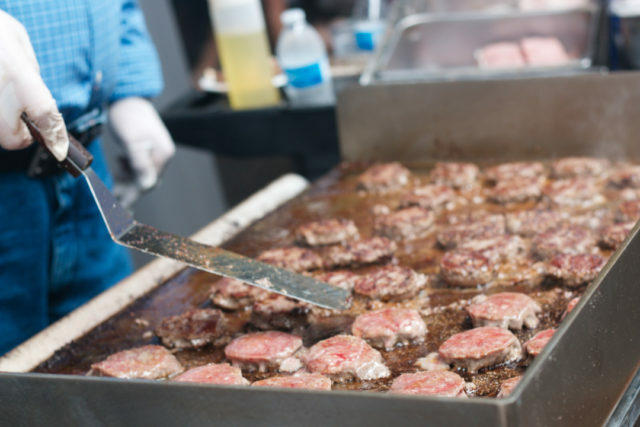 A cook grills mini hamburger patties to keep up with demand. Photo by Amanda Lozano. While I was disappointed in the lack of craft beers, there was a slew of other alcohol options. A selection of wines, canned margaritas, Big Red and bottled tea that made up for the lack of crafts. My clear plastic cup given at admission was constantly filled with drink. There was plenty of delicious burgers to choose from, including some offerings from the Boiler House, Max’s Wine Dive, Folc and Magnolia Pancake House. From the assortment of burgers, these were the ones that stood out the most. Boiler House’s heaping bison burger also had Cambozola cheese, homemade pickles and truffle chicken fat aioli. Photo by Amanda Lozano. 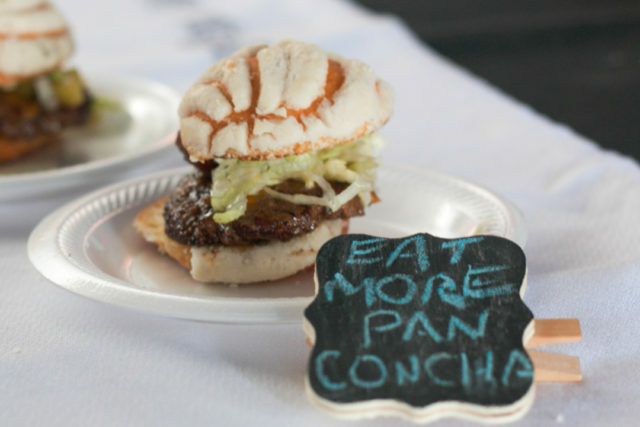 My favorite burger was the Concha Burger, created by Chef Lorenzo Morales. 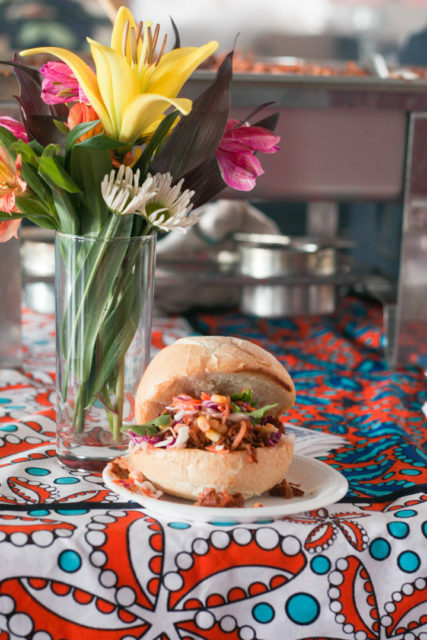 Instead of a typical bun, Lorenzo used the iconic Mexican sweetbread, the concha as a bun. With the smoky rare meat, the sweet sugar of the concha rounded out the entire flavor. I went back for thirds, I admit. This burger isn’t available for purchase yet, but will be served at the Old Main Association, a pub and diner in the makings at 2512 Main Ave. 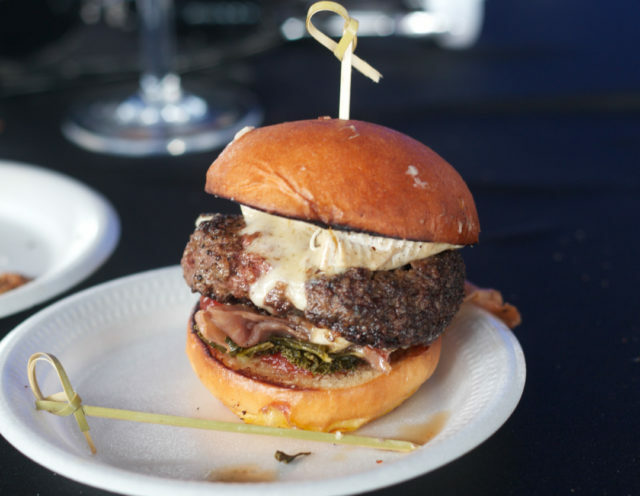 Chef Lorenzo Morales’s Concha Burger. Photo by Amanda Lozano. One of the tastier offerings wasn’t a burger, but rather a hot dog. 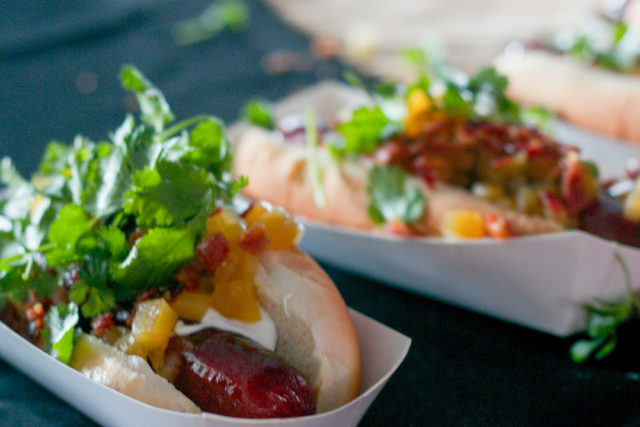 Jason Dady’s “Tijuana Dog” consisted of a smoked beef weenie, bacon, pineapple relish, jalapeño puree, fresh cilantro and a touch of sweet Mexican crema (cream) to round out the flavor. Ordinary pickle relish will never suffice again. Chef Jason Dady’s Tijuana Dog. Photo by Amanda Lozano. Arcade Midtown Kitchen created a Pork and Veal Chorizo “sammich.” Garnished with tomato picante ketchup, salt and lime crema and mint macha, the bitterness of fresh arugula gave the burger a crunchy and refreshing texture that worked well with the mint. Arcade Midtown Kitchen’s Pork and Veal Chorizo “sammich.” Photo by Amanda Lozano. La Botanica Vegan Eats offered a vegan burger that managed to stand out. Made with Jackfruit, chorizo seasoning and garnished with purple cabbage, corn and lemon amongst a fluffy bun, this one fooled me. Jackfruit suffices as a good brisket or pulled pork substitute. According to Chef Arabella Daniels, Jackfruit is an Asian fruit that is very difficult to obtain in San Antonio. It must be cooked when young and flavorless, so the flavor can be manipulated into what the chef desires. La Botanica is another local restaurant in the works, and will be located on 2911 N St. Mary’s St in the near future. La Botanica offered a vegan burger, with the meat made of an Asian fruit called Jackfruit. Photo by Amanda Lozano. 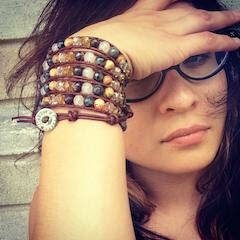 Amanda Lozano is a freelance journalist in San Antonio, Texas. She’s formerly worked at La Prensa Newspaper and has written a few articles for The Rivard Report. When not on the field, she spends weekends performing with an all-female ensemble called Mariachi Flor De Jalisco. During downtime, she loves playing with her pet dogs. A major advocate of all things Chicano, especially literature.